A TRIBUTE TO THE MEN WHO FLEW THE LANCASTER. The crews of Bomber Command faced one of the most daunting tasks, calling for courage sustained night after night, in conditions of desperate danger and discomfort. They did not fail us and 55,573 paid the supreme sacrifice”. 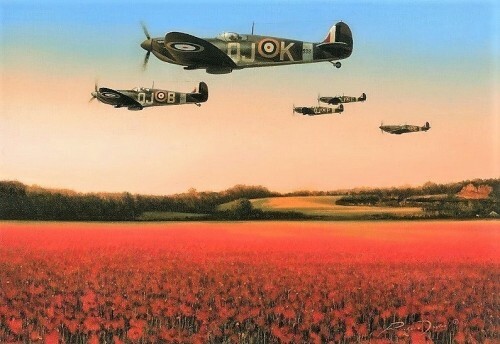 A TRIBUTE TO THE MEN WHO FLEW THE LANCASTER. The crews of Bomber Command faced one of the most daunting tasks, calling for courage sustained night after night, in conditions of desperate danger and discomfort. They did not fail us and 55,573 paid the supreme sacrifice”. 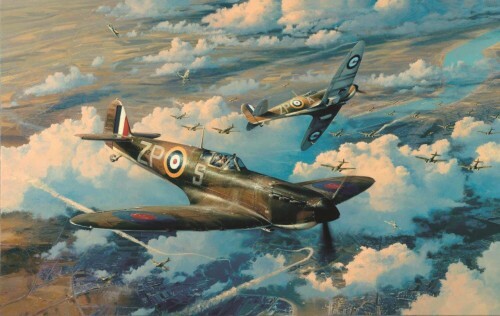 In his new tribute to “The Many”, Robert Taylor’s evocative painting HIGH COST recreates a typical scene encountered by many Royal Air Force bomber squadrons on raids over enemy occupied territory: Having already survived 30 successful operational sorties, on 9 February 1945 Lancaster PG-G of 619 Squadron has been intercepted by Luftwaffe night-fighters during a raid over Stettin Bay. 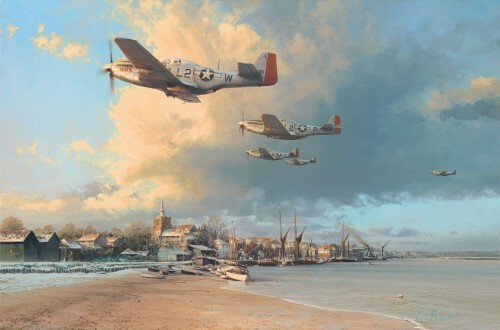 Joining artist Robert Taylor in individually signing each print in these editions are distinguished RAF & RAAF airmen who flew with RAF Bomber Command during the World War II. Every print is individually hand-numbered. This is a FIVE signature edition.